Azon Addon allows you to add Amazon products into your Website. This is an addon for WP Bakery Page Builder, so you must have it installed. Using the Azon Addon you will be able to browse through Amazon Departments and Showcase Products into any WordPress page! No coding necessary, no amazon API keys, the addon works as is. 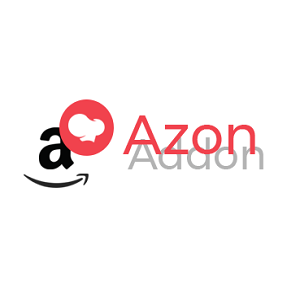 Azon – Custom ASIN List – using this addon, if you already have an Amazon ASIN list you can display the products in just a few clicks! To easily create ASIN list, we recommend using the WooZone Chrome Extension! Azon – Search Box- using this addon you can search for products on any Amazon Website and showcase those product search results into any WordPress page. It also comes with Geo-Targeting! This Feature automatically detects your client’s location (country) and redirects the user to the closest Amazon Website. Ex: You have a Client from Canada, When he clicks on any Amazon Product, he will be redirected to Amazon.ca. Each product comes with an Image, Title, Category, Price and Ratings. Depending on Amazon Affiliate Website, you might get extra fields, like if a product is Eligible for Prime. All these are very easy to Customize, starting with Font Families, Sizes, Colors, and also you can Setup how Many Products to Display per Column, and how many Products to Display per Page and if you wish to Display a Custom Pagination or not. The BUY Button is Customizable as well.